Discover more about us and how we can serve you. Our mission is to be the extended family when the family can’t be there. We aim to provide top-quality in-home care services that improve our clients’ quality of life in the comfort of their own homes. By working with your loved ones, our goal is to help them make the best care decisions. Home Helpers of Dallas is part of a national network of over 600 home care markets in North America. Each office is owned and operated independently. The main advantage of working with us is that you are able to deal with Home Helpers representative who is close to you. Another advantage is the national resources from a headquarters training and information source. What does Home Helpers Do? We help make the lives of our clients easier and more enjoyable. 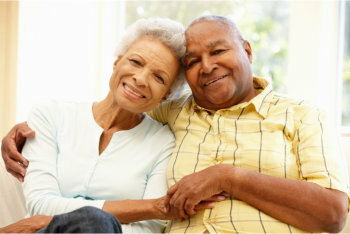 We provide home care, senior care, and adult care. We also provide personal assistant services such as bathing, dressing, feeding, and others. Servant-leader is a style that would best describe the passion and experience that Scott brings to a family owned business that can so positively impact the lives of the greatest generation. My simple philosophy is: Give people the kind of service and attention I would want for myself and my family at a time in life when the need is often the greatest. With an educational background that includes Nursing and Social Services, I have over 25 years of extensive experience supporting administrative and field operations in a healthcare environment. Having served as a Client Care Manager, Field Supervisor, Geriatric Care Coordinator, and Assistant to a Geriatric Psychiatrist, I have gained a wealth of knowledge and information that has allowed me to pursue and promote my passion: a love of working with seniors and helping to ensure and enhance a better quality of life for them. Being part of the HH team for almost 10 years has afforded me the opportunity to continue my work with seniors. The rewards from this work and making a positive difference in seniors’ lives are realized every day. A member of the Home Helper’s Team since 2013. Alex is the first impression our community and prospective clients see of Home Helpers in Dallas. She meets with families to understand their needs; works with families to create a successful plan of care; and provides ongoing support and supervision that continues our efforts in providing the best service possible for ever changing client needs. Alex is a true “people person” with a sincere desire to compassionately help make life easier for our seniors in and around Dallas. Will recently celebrated his 18th year working in the Senior Care Community. Over the years Will has worked as a Certified Nurse Aid; Medication Aid; Housekeeping Supervisor; Reception Manger; and Activities Coordinator. His love of working with seniors has proven to be a tremendous calling and a true benefit to those in our care. A member of the Home Helpers Team since 2016, Will is the “can do” service coordinator in our office, working with families and caregivers to provide excellent service outcomes.